Thoughts are seeds! This is a very powerful thought…and true but what more specifically does it mean? 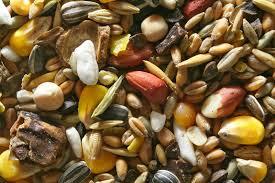 Well let’s begin with the item of analogy–seeds. What is a seed? One dictionary defines this noun as a flowering plant’s unit of reproduction, capable of developing into another such plant. Another says in more general terms that the word seed is often used to refer to anything that is sown in the ground to produce a plant. Dictionary.com has several explanations and I like the basic concept of the second listing. 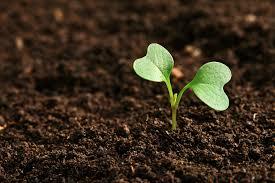 It says a seed is any propagative part of a plant…especially as preserved for growing anew crop. Okay, take your pick of definitions. The bottom line words and phrases I’d like you to consider in this context are: unit of reproduction; sown…to produce; and propagative part for growing a new crop. Now consider your thoughts as such as it relates to your life. Your thoughts can be sown (are sown) to produce outcomes. You can then continue to use your thoughts to reproduce more of the same or even greater outcomes. They are the propagative part of our lives especially preserved for growing a new and greater living experience. How awesome! Many centuries ago it was stated in the Bible (a book I treasure) that you can move mountains with faith. (“…I tell you the truth, if you had faith even as small as a mustard seed, you could say to this mountain, ‘Move from here to there,’ and it would move. Nothing would be impossible.” Matthew 17:20) Faith–belief is a manner of thinking…and thoughts are seeds. 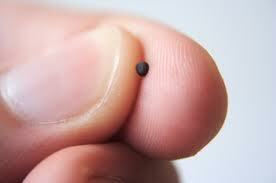 And remember, you only need faith the size of a mustard seed. Do you realize how small that is? I think you really hit it when you said that “it’s not so much the size but the clarity and focus of the thought” that’s the key! Thanks! Great reminder for us to be careful of what we desire to harvest. What a great post! I completely agree with dzwaldron comment on it’s not the size but clarity. It’s great! Thanks. “One is evil – he is anger, envy, sorrow, regret, greed, arrogance, self-pity, guilt, resentment, inferiority, lies, false pride, superiority, self-doubt, and ego. It is so simple…yet we all have the same fight going on inside! !